Hey friends, happy hump day! 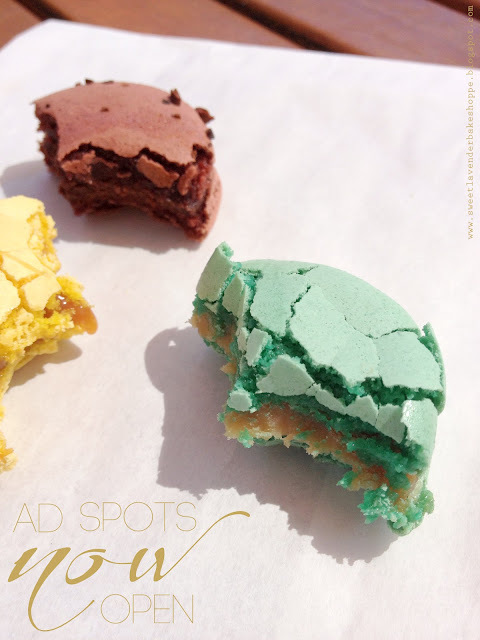 I just wanted to post a quick little note that sayssssss..... BLOGGY AD SPOTS ARE NOW OPEN! Wooohoooo! This is where balloons, streamers, and party-thing-a-ma-bobs should shoot out across the room trashing every surface in party excitement delight. Excitement indeed. This is exciting stuff. If you've got a blog, website, Etsy shop, or any other web-tastic place you'd like to advertise, now is the time! All you need to do is click here and you'll find out ALLLLLLlLlLlllllLLlll the prices and info! Prices are dirt cheap but the perks are....not dirt cheap? Papa Bear is filled up through November, but if you purchase now, you can hold a spot for December! With this ad you will get a large ad space and solo blog post as well as organic mentions of your shop throughout the month via social media sites! Mama Bear has one spot open today but by the end of this week will have about 3 spots opening up (as other ads are finished running). With this ad you will get a medium sized ad space and also be featured in a group blog post! Also included are organic mentions throughout the month via social media sites! Baby Bear is the cheapest of the cheap and includes a small ad space as well as organic mentions throughout the month via social media sites! So again, if you're interested- click here and let's get started! Oh AND blog button swaps are of course still available- just email me and I'll help ya through that! Oh and also, in case you missed it yesterday- Mane Message has teamed up with me to have Sweet Lavender's very first Give-a-way!!! Please make sure you check it out and enter to win!! Until next time, have a fantastic day guys!! !